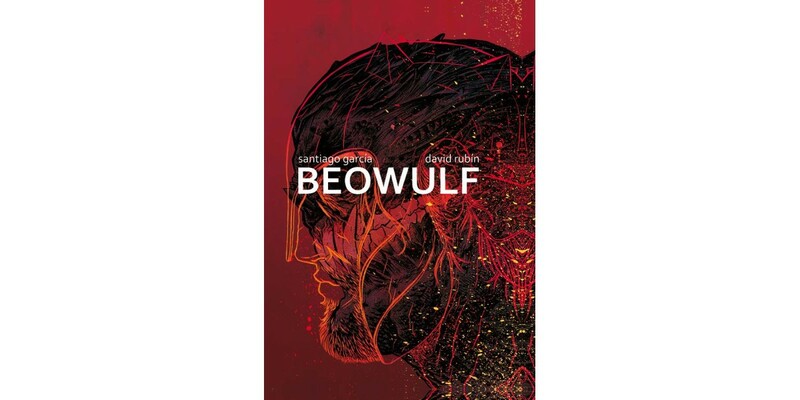 Santiago García and David Rubín team up to put a fresh—and wholly blood-soaked—spin on the violent and savage tale of BEOWULF in a new English translation of the 1,000-year-old myth. It will be collected in a lush, full-color hardcover this December from Image Comics. The story of Beowulf has inspired an enduring epic poem, become a foundational piece of English literature, and influenced countless great works of fiction in numerous mediums. Now, it’s getting an entirely unique new graphic treatment—packed to the brim with enough brutality and gore to satisfy even the most Viking of sensibilities. BEOWULF tells of the tale of a Scandinavian hero in lands that would become what is now Denmark and Sweden. A monster, Grendel, has arrived in the kingdom of the Danes, devouring its men and women for 12 years until Beowulf arrives to save them. García and Rubín faithfully follow the original story for a new version that is neither revisionist nor postmodern, capturing the tone and important details of the poem, translating its potent, epic resonance and melancholy into a contemporary comic that isn’t standard swords and sorcery or heroic fantasy fare—but rather an ancient story with a modern perspective that remains respectful of the source material. BEOWULF HC (ISBN: 978-1-5343-0120-7) hits comic book stores Wednesday, December 14th and bookstores Tuesday, December 20th, and will be available for $29.99. It can be ordered by retailers with Diamond code OCT160654, and is available for preorder on Amazon, Barnes & Noble, Indiebound, and Indigo.